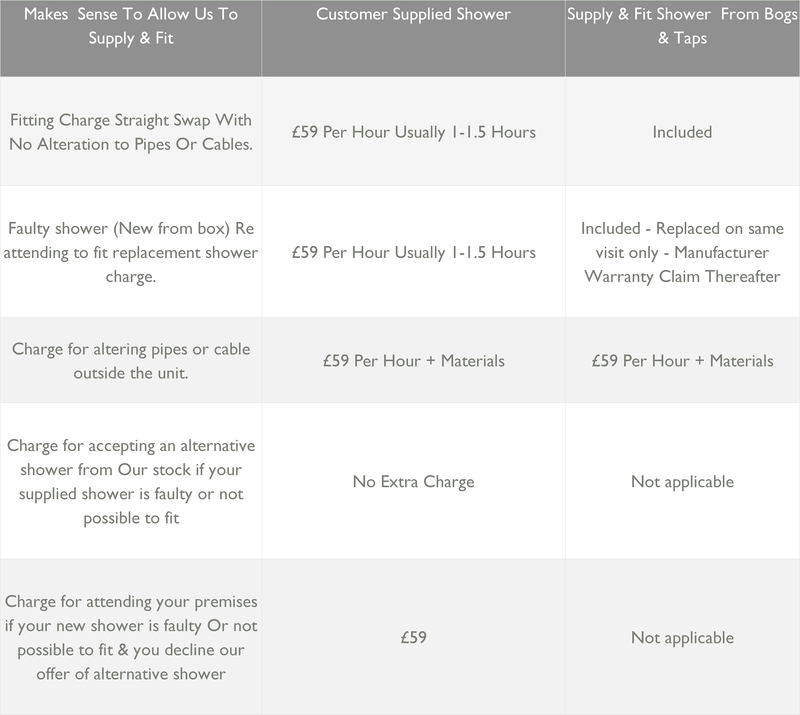 HOWEVER We carry on-board a choice of multi fit showers from Mira that we can fit on the same visit. Got a bar shower or bath & basin taps you need fitting ? We can do that - £59 per hour plus any materials. Call for details.